Poster designed for Brewery Ommegang's inaugural "Fall Crawl" pub crawl event in New York City. 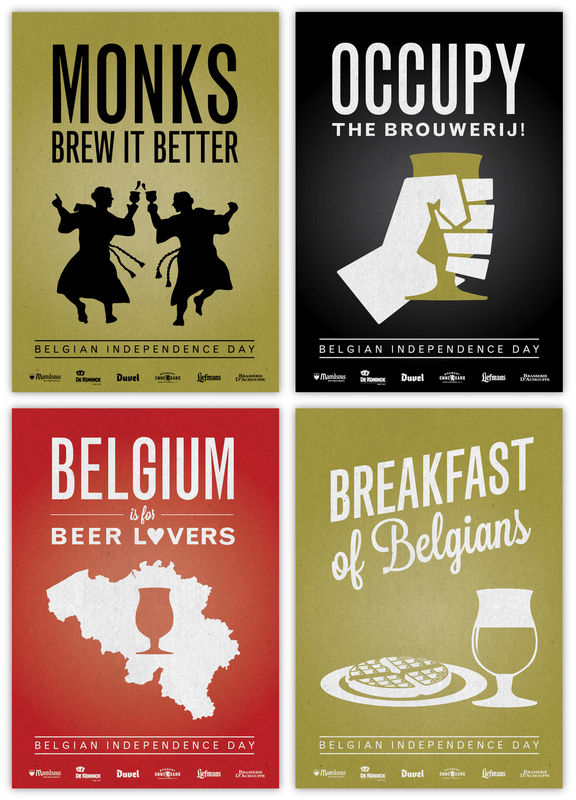 Promotional posters designed for Belgian Independence Day, playfully celebrated by all Duvel Moortgat-owned breweries, including Brewery Ommegang. Poster designed for Cooperstown's annual Vintage Baseball Game, an Ommegang-sponsored event.